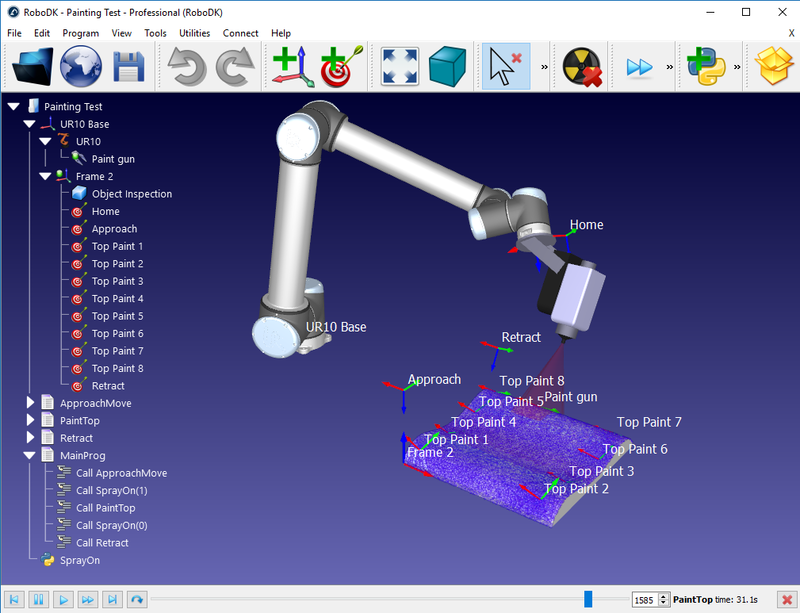 RoboDK is software for Simulation and Offline Programming. Offline Programming means that robot programs can be created, simulated and generated offline for a specific robot arm and robot controller. Tip: When you press F1 from RoboDK, the Help topic related to the item currently selected or active is displayed. This document is a basic guide to the RoboDK documentation. 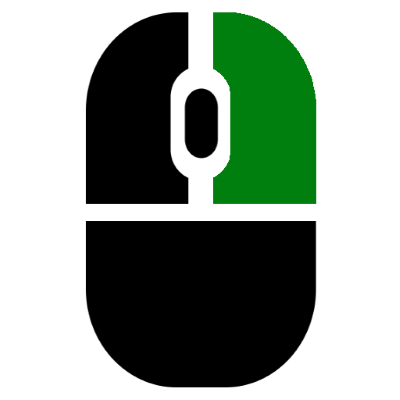 The RoboDK documentation is based on the Windows version of RoboDK. 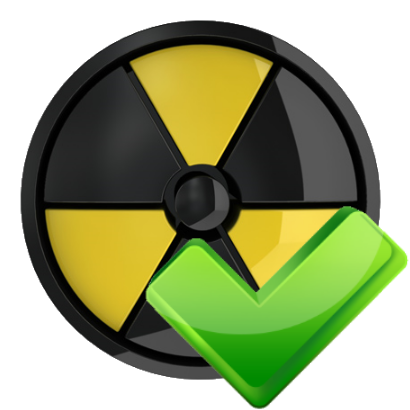 Mac, Linux and Android versions are also available. 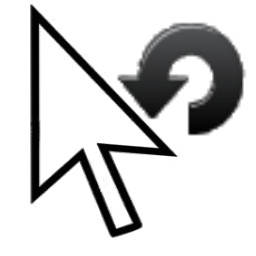 A shortcut is created on your desktop when RoboDK is installed from the website. 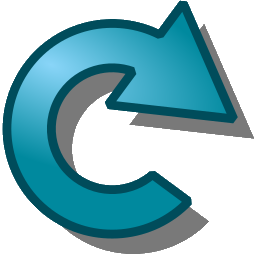 Double click the shortcut to start RoboDK. 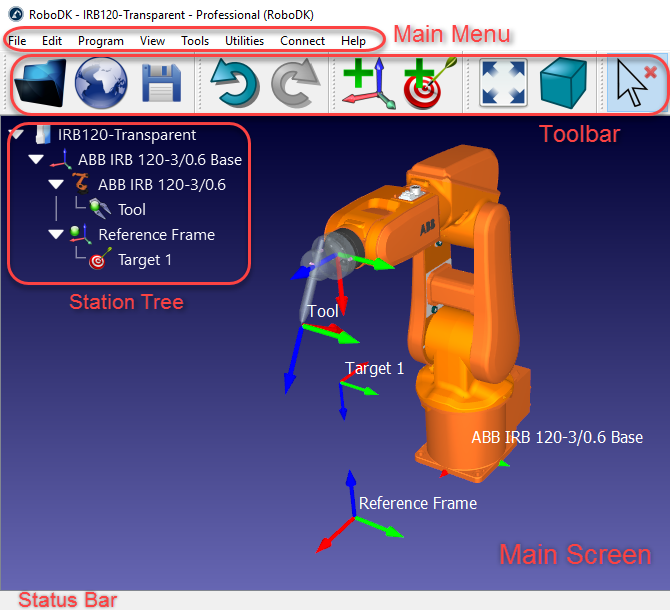 The RoboDK window contains a Main Menu, a Toolbar, a Status Bar and the Main Screen. The Station Tree in the Main Screen contains all the items available in the station, such as robots, reference frames, tools, programs, etc. More information available in the Interface Section. Open to load one of the RoboDK station examples provided by default (RDK files). 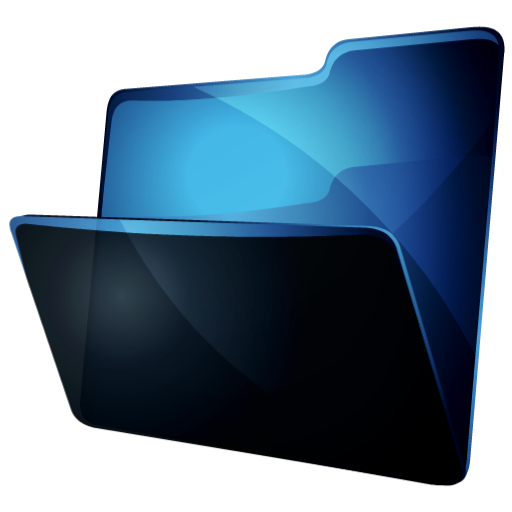 Alternatively, drag & drop a file to the RoboDK main screen to load it. 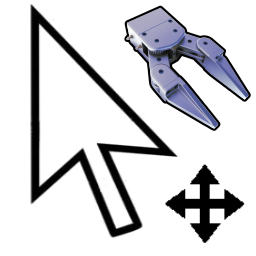 A library of industrial robots is available online or directly from the RoboDK application. Right click on the main screen to see the same 3D navigation commands. This example is available in the RoboDK library by default as Tutorial-UR-Painting.rdk (located by default in C:/RoboDK/Library/). 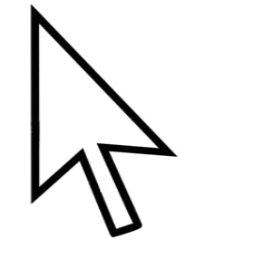 The Toolbar contains graphical icons that allow quick access to frequently used actions in the menu. Set Default Toolbar to set up the default toolbar. 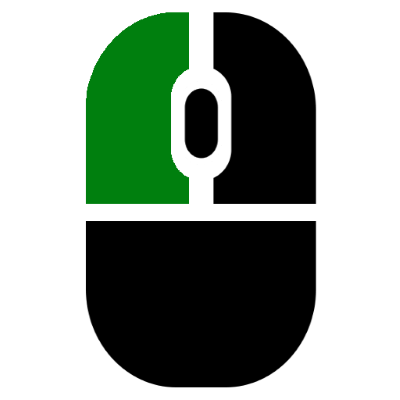 The following commands are available in the toolbar by default. 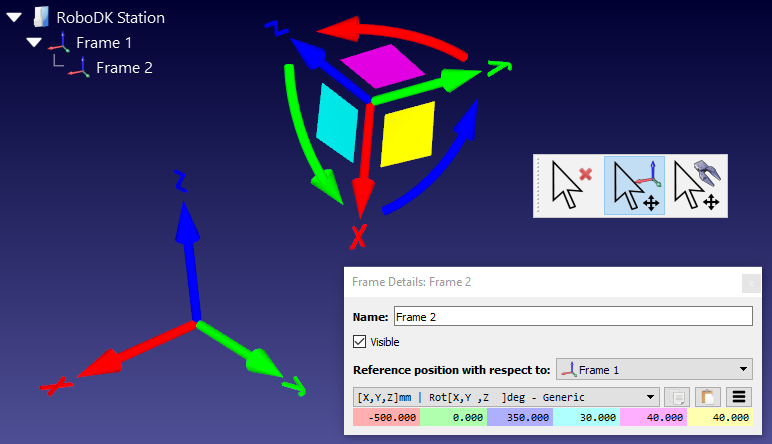 Export a program or simulation as a 3D PDF or 3D HTML file. Example. Note: More information about other commands in the Interface section. Tip: Press the + key or – key multiple times to make the reference frames bigger or smaller respectively. Setting an appropriate size of the reference frames helps grabbing them properly when they are moved using the Alt key. A Reference Frame defines the location of an item with respect to another item with a given position and orientation. 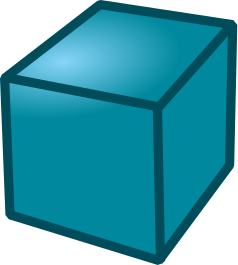 An item can be an object, a robot or another reference frame. All Offline Programming applications require defining a reference frame to locate the object with respect to a robot to update the simulation accordingly. 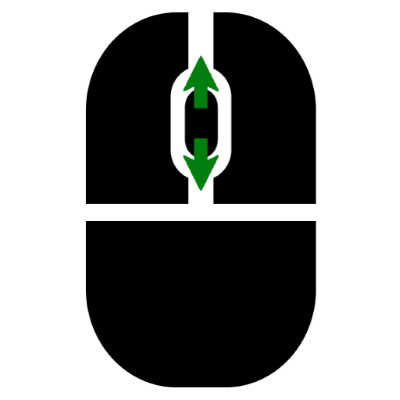 Drag & drop any reference frame or object within the Station Tree to define a specific relationship, such as the nested reference frame shown in the following image. 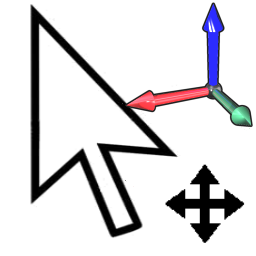 It is common to define the location of one or more reference frames with respect to the robot by touching 3 points. This allows placing objects in the virtual space. The procedure can be accomplished using the robot teach pendant or RoboDK (more information available in the Calibrate Reference Frame section). 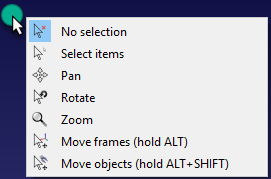 Tip: Hold the Alt key to move reference frames with respect to each other. Alternatively, select the corresponding button in the toolbar: . With RoboDK it is possible to manually enter the translation and rotation values, including different rotation orders of the Euler angles. Note: The relationship of one reference frame with respect to another reference frame is also known as pose (position and orientation). A pose can be represented by the XYZ position and Euler angles for the orientation, by the XYZ position and Quaternion values or by a 4x4 matrix. 3. Third: a rotation is made around the static Z axis (yellow case). 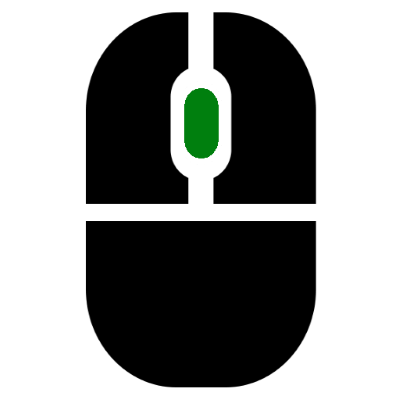 Fanuc and Motoman controllers use the previously described format, however, other robot manufacturers handle the rotation order in a different way. Note: RoboDK automatically selects the right format for each robot. 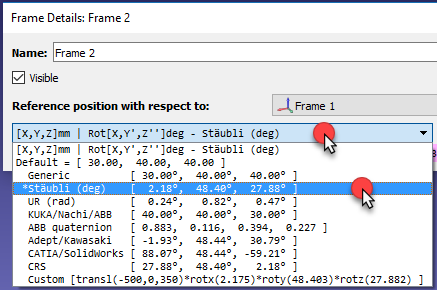 It is possible to select among different orientation formats from the dropdown list of the reference frame details window (double click a reference frame). Tip: When a program is generated, RoboDK will automatically generate the correct orientation values required by your robot controller (using a post processor). Tip: Select the buttons on the right to copy/paste the values from/to an array of values or as a 4x4 pose. 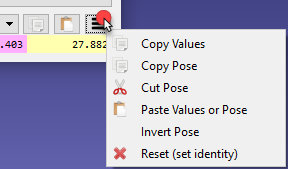 It is also possible to invert a transformation (pose inverse) or reset it (set the identity). Note: Select the default Euler orientation in the Options menu: Select Tools-Options-General tab-Default Euler Angles mode. Options and select Set Default Settings to set the default settings. More information available in the Options Menu Section. Language and select English to change the language to English. Set default Python Settings to set up the default Python settings. More information in the RoboDK API section. 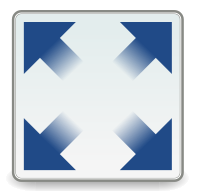 Important: RoboDK requires updated graphic card drivers with support for OpenGL v3.2 or later. Starting RoboDK with this command does not require a graphic card as it uses a software emulated OpenGL. 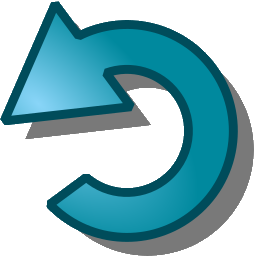 This solves any problems when running RoboDK using a Remote Desktop connection or a Virtual connection.